Adventures are unique and intimate events, designed to offer our TEDx community unparalleled, behind-the scenes access to the people and places that make the local area so dynamic. As you walk through the darkened halls of the lobby, you’re jittery. Or maybe you are exuberant—you have, after all, been waiting for this film for a long time. At long last you take your seat, looking at your watch as the time gets closer. And then the lights dim and the story begins. For ninety minutes or more you are attentive to a created world. If you like the film, perhaps you will think about it and talk about it afterward, but how often do you think of the effort behind making a film? Each element critical to the final product—hundreds of individuals working on the production, crafting the motion piece by piece. Our TEDxConcordiaUPortland (now known as TEDxMtHood) Adventure tour of LAIKA, an Oregon-based animation studio, gave us an exclusive look behind the screens. LAIKA created the stop-motion classics Coraline and ParaNorman. On our Adventures we always strive to bring unique experiences to our attendees, experiences that can bring new creativity to their lives. During our LAIKA tour, we were immersed in live stop-motion animation sets—seeing how the puppets are made, how the sets are constructed, the camera angles on each set, the precision of capturing frame by frame. It was… incredible. 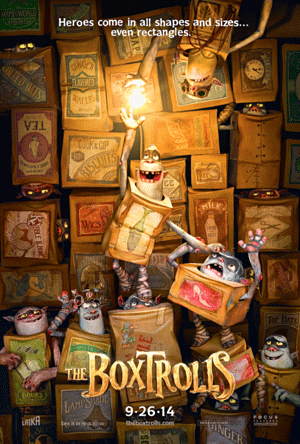 We ended the tour with a teaser trailer for the current production—a coming-of-age story called The BoxTrolls, which will be released in September 2014. Be sure to check it out, and come back to TEDxConcordiaUPortland (now known as TEDxMtHood) for more information on further ADVENTURES! 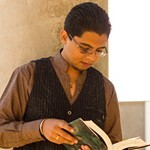 Akash Singh is a 19-year-old student at Concordia University. A true geek and cynic at heart, his heart nevertheless is warmed by Harry Potter, Emma Watson, and Peppermint White Chocolate Mochas. His favorite pastime is to read and write while drinking Butterbeer and exhaling smoke rings. TEDxConcordiaUPortland, for him, represents a brilliant platform. It is an arena in which inspiration flows in such rapid abundance that it is difficult to not get inspired and create something indiscernibly unique that leaves a specific mark on the pages of history. Akash is ecstatic to be part of this incredible experience.